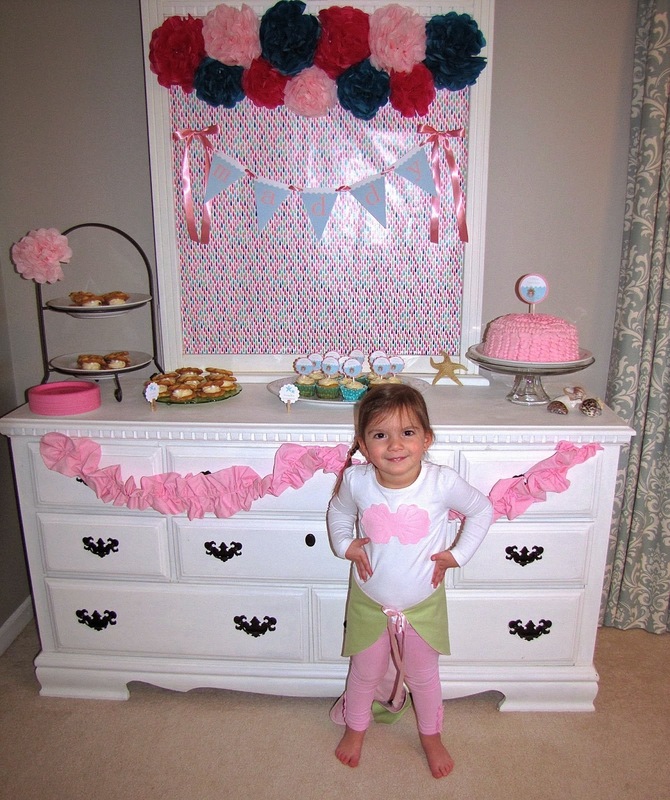 I love planning and decorating parties for my girls. I love that for the first couple years they don't care in the least what kind of party they have and I get to chose the theme. =) Around three is typically the age they start asking for a specific kind of party. I usually make them a coordinating outfit to go along with their chosen party theme. Not only is it something special they can wear for their party, it's something they can dress up with for weeks to come. 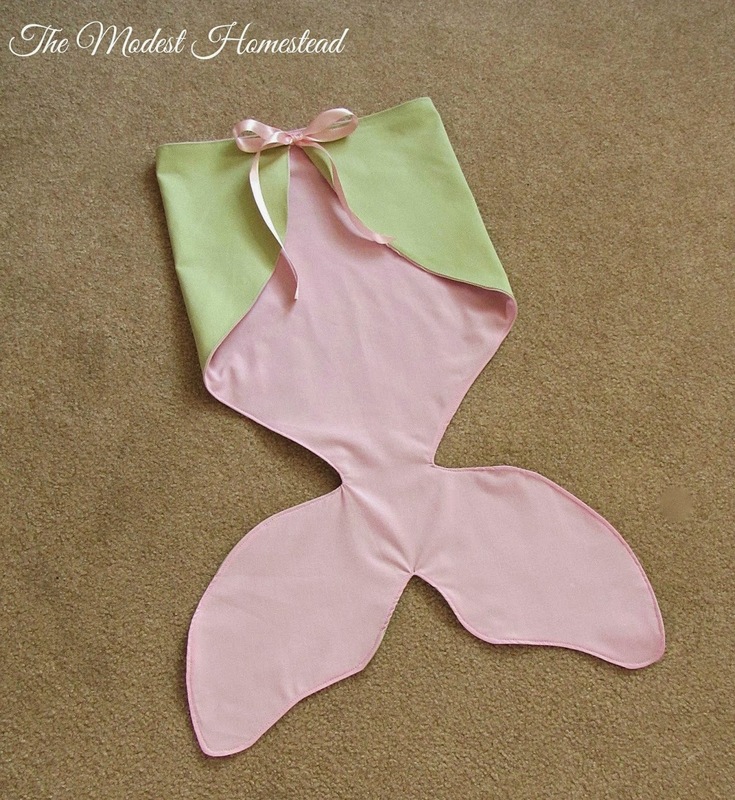 Today I'm going to show you how I made the mermaid tail for Maddy's mermaid party. 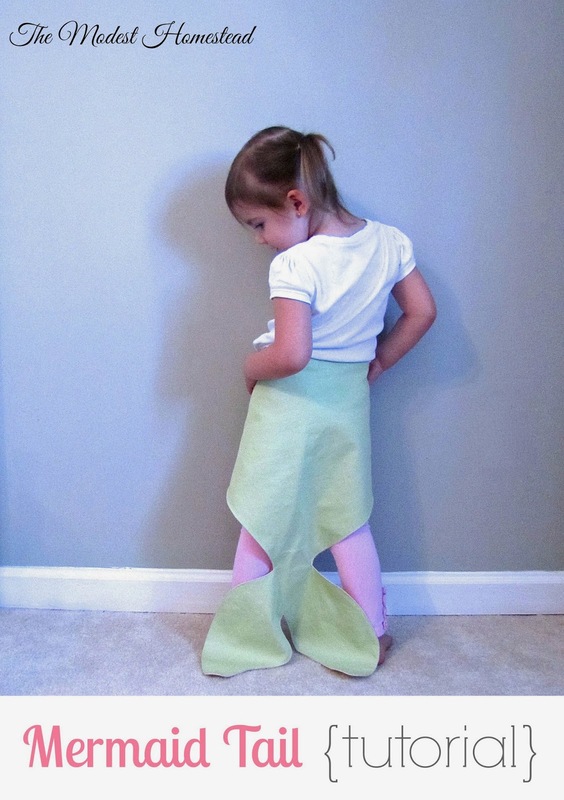 This costume is very easy to make and you only need a few easy-to-find supplies. 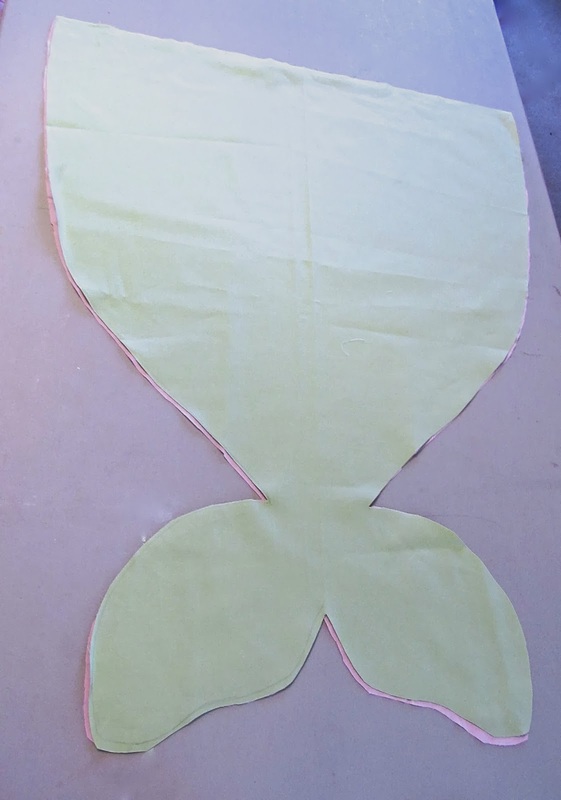 First, I measured Maddy's waist to see how wide I needed to make the top part of the tail. Her waist measured 21" and I added 1" to that measurement to allow for seams. So the cut width for the top part of the tail is 22". 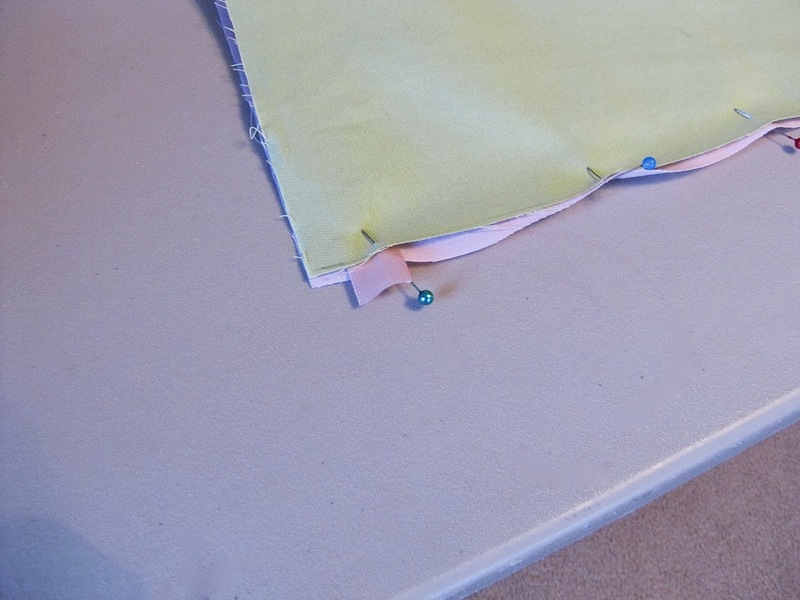 I folded my fabric in half vertically and placed straight pins in to mark where the ends of the tail would be. 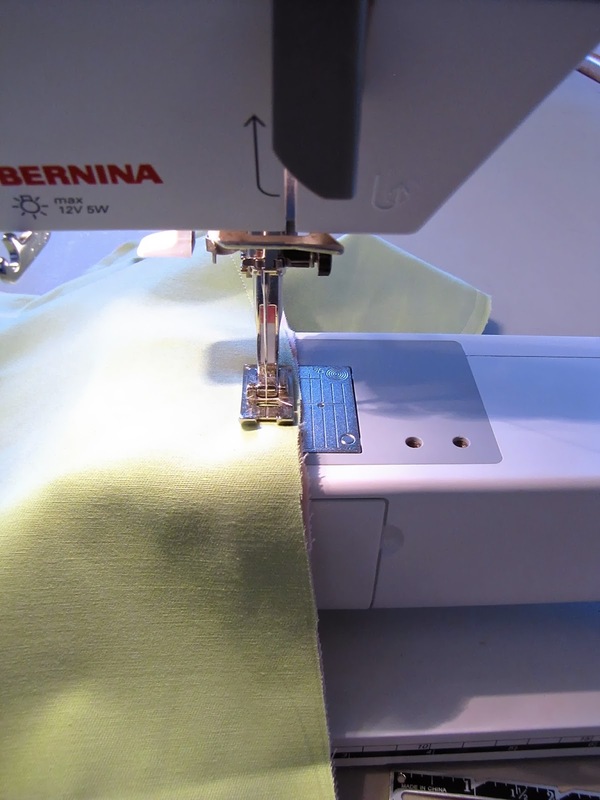 Since I folded the fabric in half, the measurement from the pins to the fold is half of the cut width (the waist measurement plus 1")--11". 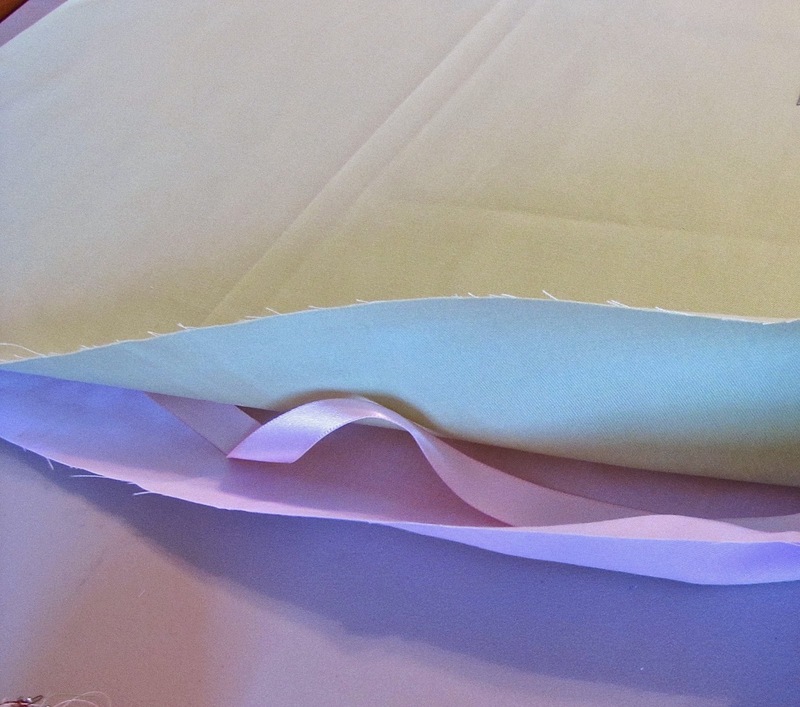 I drew and cut a fin out of paper and placed it along the fold at the bottom of the fabric. 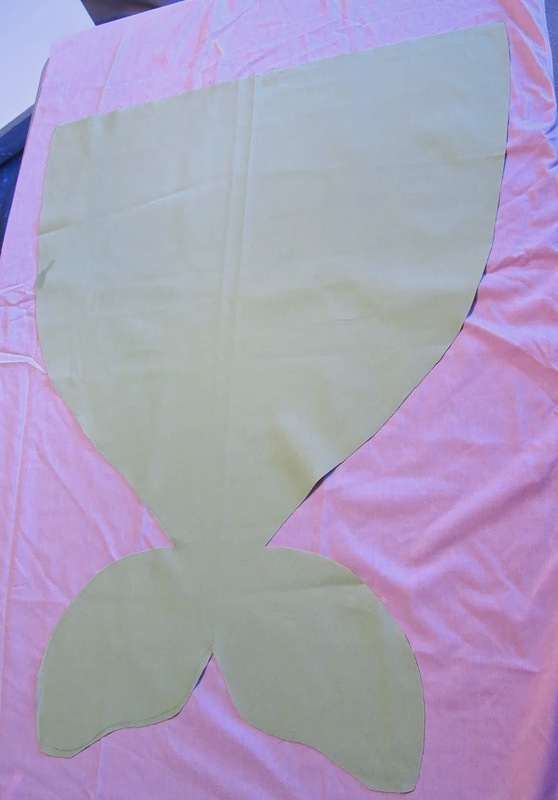 Then, using a fabric marker, I traced around the fin at the bottom and just kind of eyeballed the rest of the tail making sure it ended up at the spot I had marked with pins at the top. 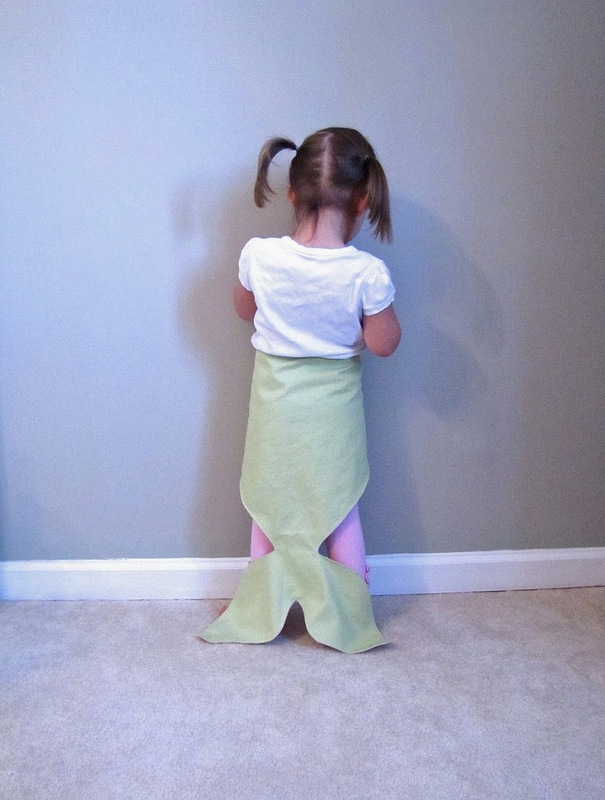 I measured my little mermaid from her waist to the floor to determine how long to make the tail. 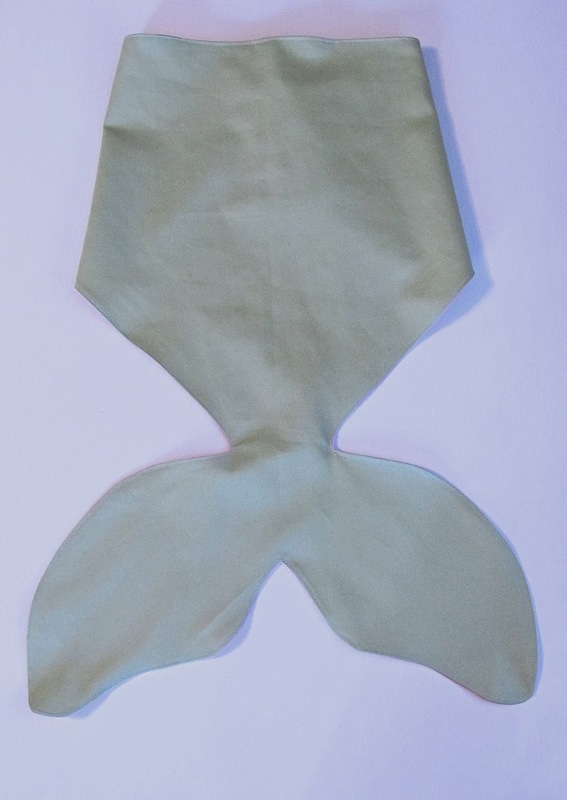 The finished measurement from the top of the tail to the bottom of the fin is 23". Plus I added 1" for seams so 24" cut length. 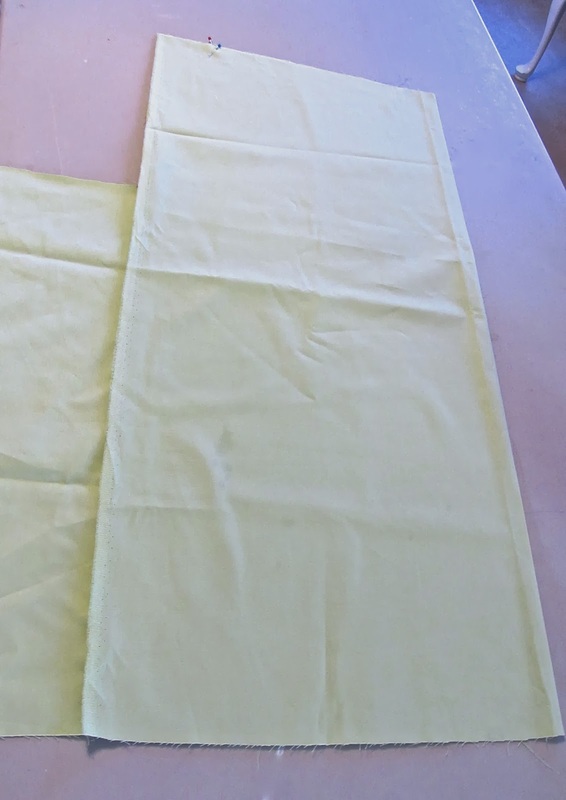 Since my fabric was folded when I cut it out, each side is perfectly symmetrical. 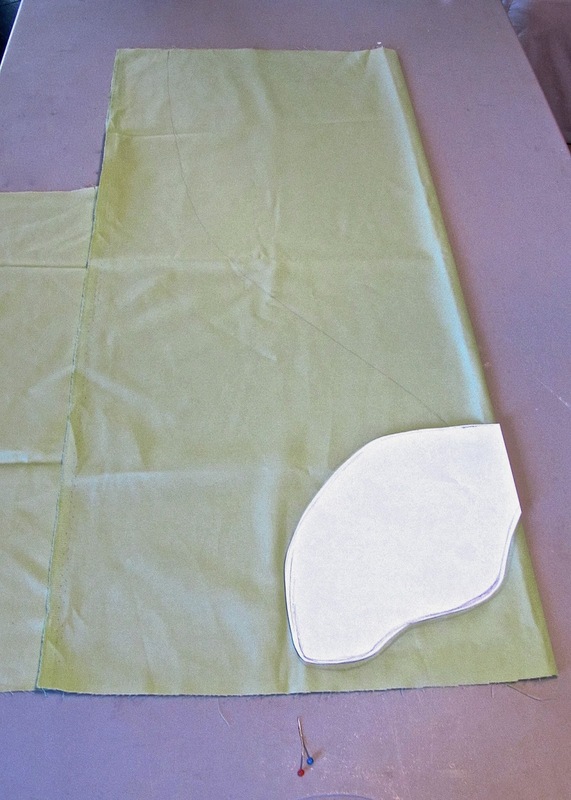 To make the reverse side of the tail I used an old sheet. 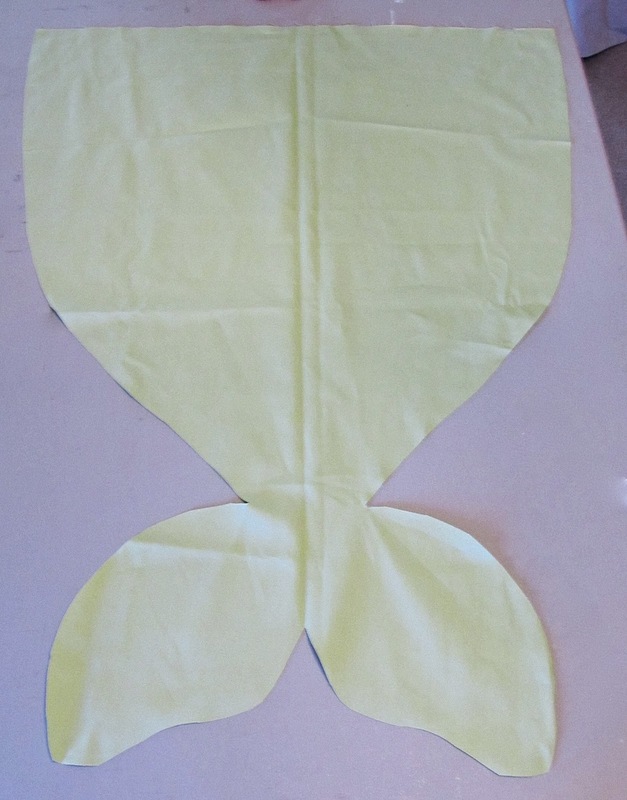 I just laid the tail I had cut out directly on top of it and used that as a pattern to cut it out. With right sides facing pin the two sides of the tail together. 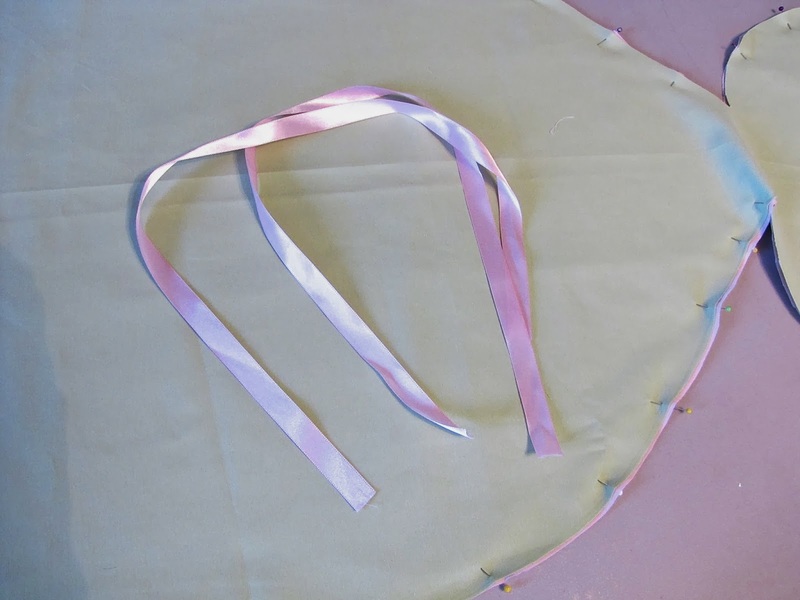 To make the tie for the tail I cut two pieces of ribbon each 15 inches long. I heat sealed the edges of the ribbon with a lighter and tucked them into each of the sides of the tail about 1/2" from the top. So the ribbon is in-between the two pieces like this. 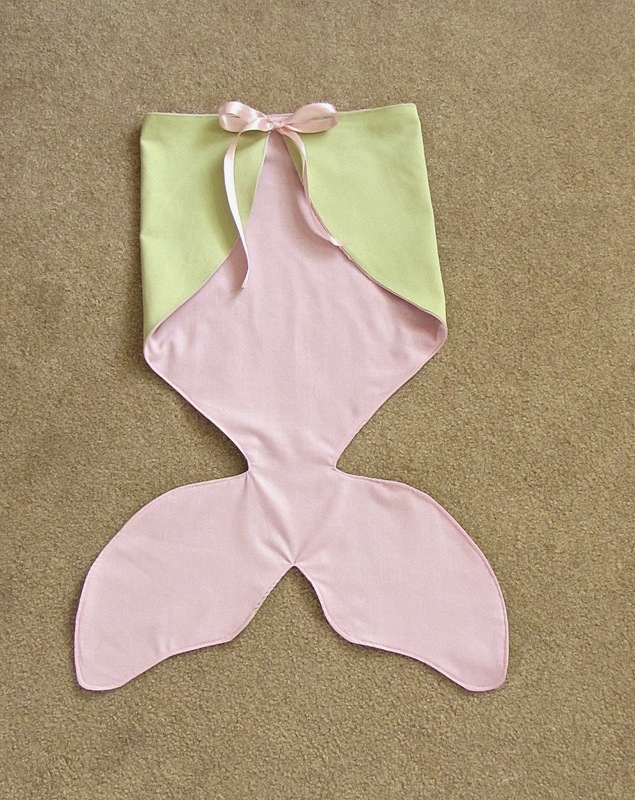 I sewed all the way around the tail using a 3/8" seam allowance and left an opening at the top about 10" wide. I trimmed the seams close to the thread being careful not to cut into my seam. I flipped it right side out through the opening and ironed it flat. 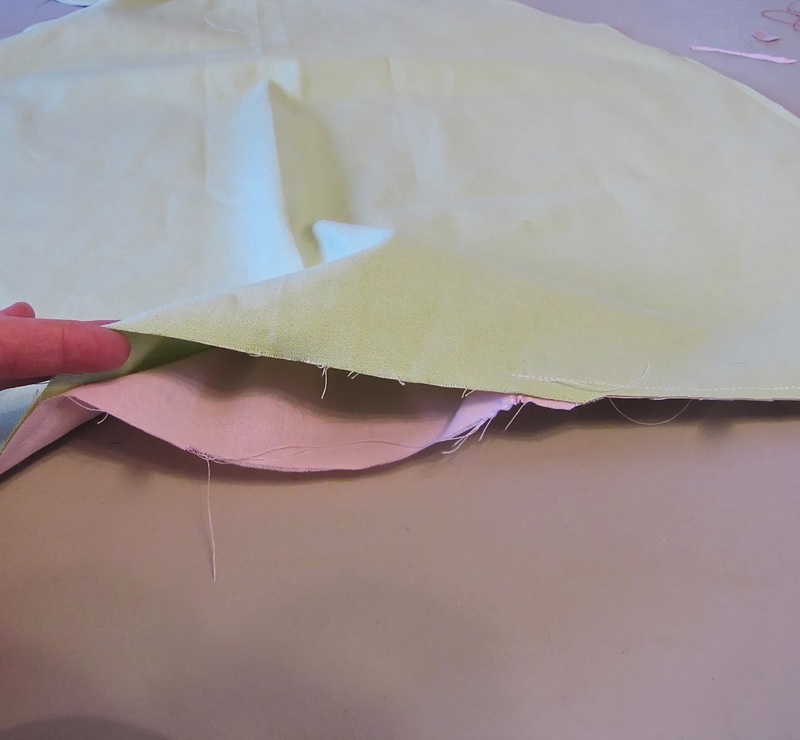 I turned under the raw edges of the opening and sewed it shut close to the edge. 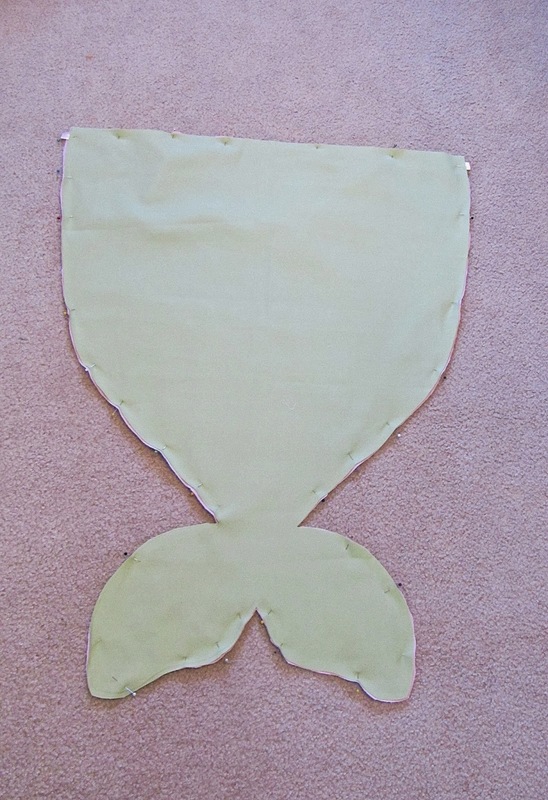 Then I topstitched the rest of the tail. And that's it! Maddy wore hers with a white t-shirt and leggings. And it can be thrown in the wash after a day of play! 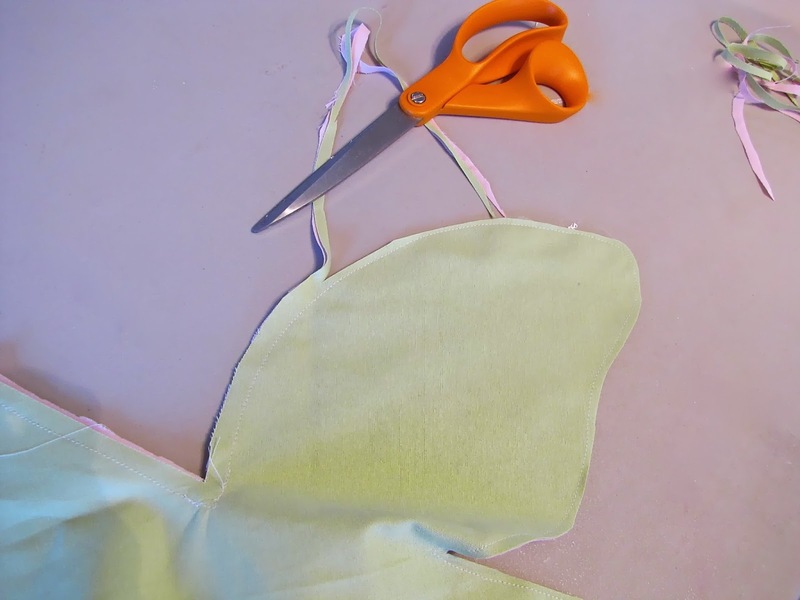 To make her shirt I cut the shape I wanted out of felt and used my sewing machine to sew the lines onto the shells. Then I used iron-on adhesive to attach it to the t-shirt like I did in this post. If you missed Maddy's mermaid party you can view it here.